Snowbow productions DVD’s that we shot and edited are now for sale. Readers of this blog will know that over the last 4 months Video Image Productions have been producing 2 DVD’s for Snownbow productions. 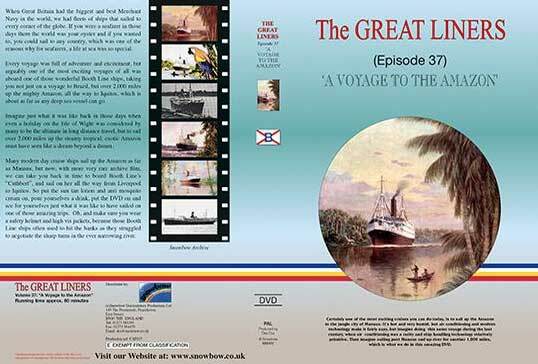 We provided all the cine to digital transfers from archive 8mm cine film covering London docks in the 1960’s and a trip to the Amazon filmed by the ships radio officer. Video camera shoots by Stephen Cowles. Video editing was completed by us in Final Cut X. 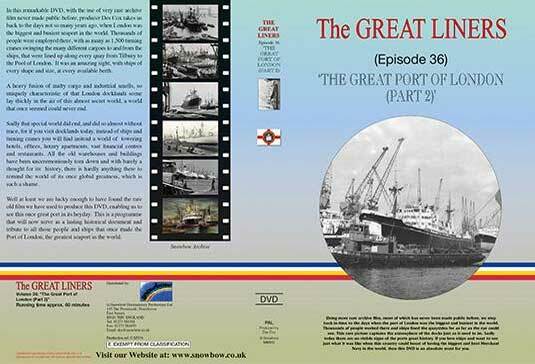 This wonderful 60 minute programme shows previously unseen film of London Docks during its heyday, when it was the biggest and busiest port in the world. There are ships of every shape and size for as far as the eye can see, and is an absolute must for every ship enthusiast and especially for all the people who knew those docks during those exciting years. This is so different from all the other programmes we have made on shipping, for it actually takes us on a Booth Line ship, sailing from Liverpool to the Amazon, and then over 2000 miles up it to Iquitos, which is as far as any deep sea ship could go. sure, there will never ever be another programme like it… Amazing.